Learnew Optoelectronics Technology has great production capability and excellent technology. We also have comprehensive production and quality inspection equipment. ac cob led has fine workmanship, high quality, reasonable price, good appearance, and great practicality.With a focus on product quality, Learnew Optoelectronics Technology adheres to the standard production and strict management. In the material purchasing process, we strictly inspect raw materials to ensure the material quality. As for product designing, we combine modern design concept to improve the overall shape of the product. In the processing, we adopt exquisite processing technique to guarantee the product quality.Compared with similar products, the ac cob led produced by Learnew Optoelectronics Technology has the following advantages. Learnew Optoelectronics Technology has our own strong scientific research and technical team. Moreover, we actively cooperate and share the latest industry sci-tech achievements with domestic and foreign research institutes, universities and renowned enterprises. It is still a long way to go for Learnew Optoelectronics Technology to develop. Our own brand image is related to whether we are capable of providing customers with quality services. Thus, we proactively integrate advanced service concept in the industry and our own advantages, so as to provide diverse services covering from pre-sales to sales and after-sales. In this way can we meet consumers' different needs. Learnew Optoelectronics Technology's goal is to become a leader in the industry with international influence. To achieve the goal, we make use of our own resource advantages and strengthen the brand building. We also strive to improve core competency. Learnew Optoelectronics Technology was established in 2012. Based on years of learning and progress, we have greatly improved the production technology of electric equipment and have stood out in the fierce competition. We have greatly improved the corporate popularity and reputation. Learnew Optoelectronics Technology's sales network has covered many provinces across the country. Think market’s think is the consistent attitude of Learnew,we design and prepare Light engine AC series as to support market Economic and Convenient assemble LED products. Except cost performance,we also pay more source on excellent design and property of AC LED products. ◪ Right circuit according to different application. ◪ Solve the series problem,such as uneven current in circuit,poor heat dissipation,Droop effect. ◪ IC driver with high-voltage chips arrangment perfect solve the problem of high dropout voltage. ◪ High PF provide,standard performance is PFC 0.92. ◪ High power efficiency provide,P.Eff 0.85. 1. 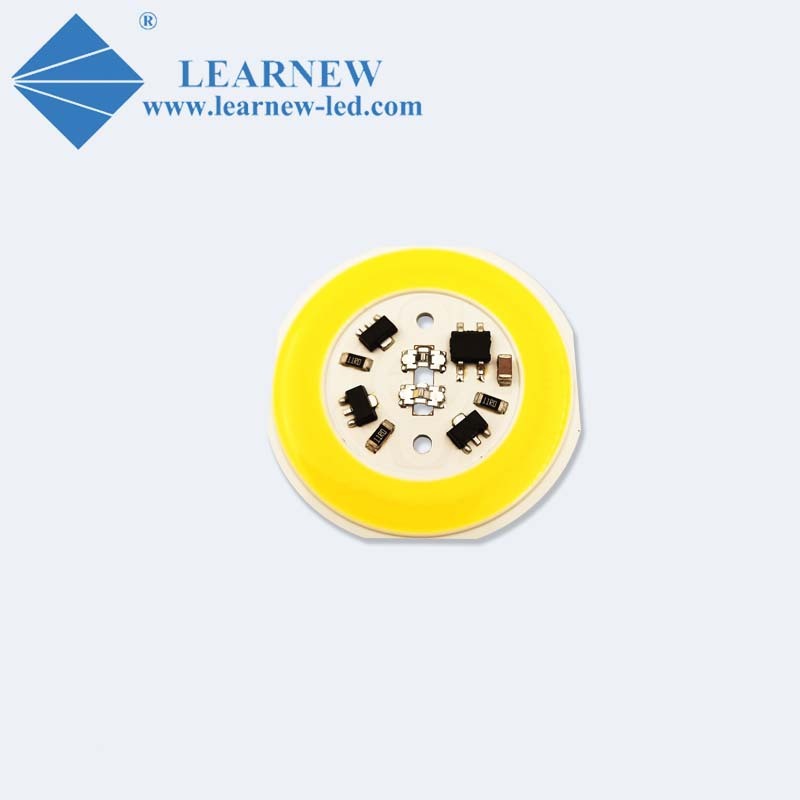 Shenzhen Learnew Optoelectronics Technology Co., Ltd. is a global market leader in the field of 220v cob led. 2. By mainly satisfying the needs of developing enterprise, Learnew has successfully introduced high technology. 3. Learnew always insists on putting quality the first. Get an offer!